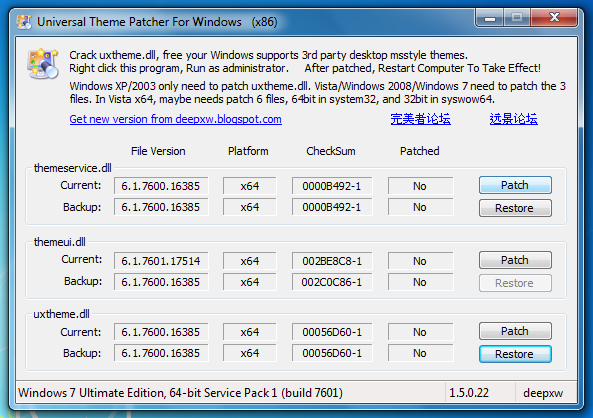 This is a portable application, which means Universal Theme Patcher doesn't require installation, and also will run from a USB drive. When you run the EXE file, it will first tell you whether you need to apply patches to your system, then a further window opens with three areas, each with Patch and Restore buttons. These buttons allow you to patch three specific files, which will then allow you to download and use unofficial themes. 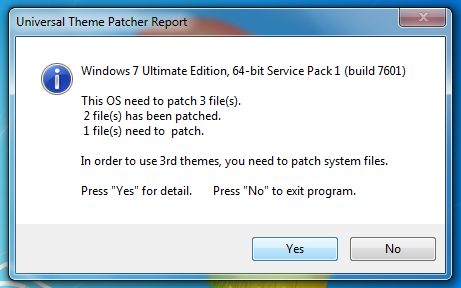 Each patch Universal Theme Patcher applies will also create a backup so you can return to the original settings whenever you want. 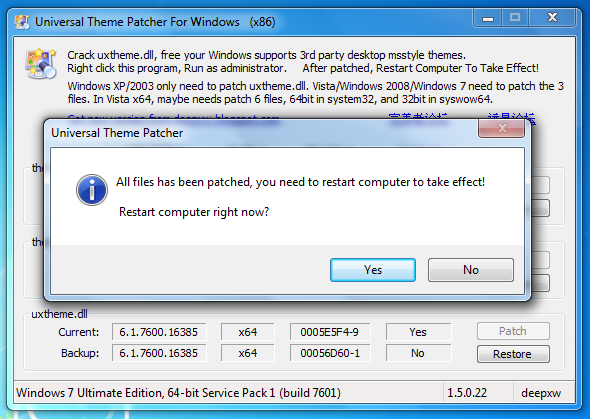 Universal Theme Patcher's interface does have some needless complicated information on display, which may put off beginners, but it's nothing to worry about as it's only the Patch and Restore buttons that are important. 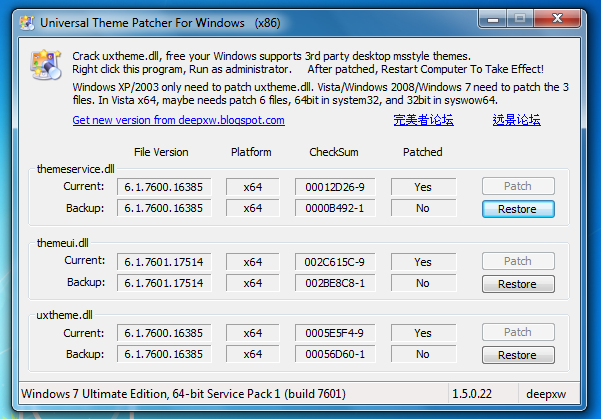 If you want to use unofficial themes for Windows, Universal Theme Patcher is a quick and painless way to make it possible. 1. You have to download the program first. Click Here / Mirror to download. 2. 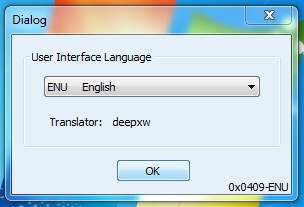 Run its EXE file and it'll ask you to select the language. 3. Click on OK button and it'll detect the OS and condition of the system files. It'll show you the information and will ask you for confirmation. 5. Once you patch a file, the "Restore" button gets activated so that you can restore the default file in future. 6. 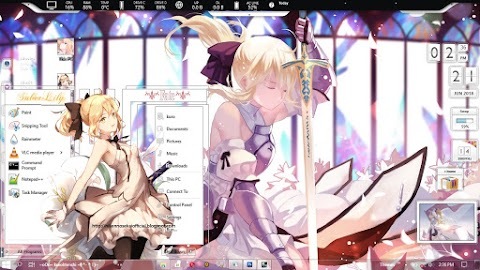 Restart your system and you'll be able to use 3rd party themes in Windows without any problem.